I celebrated a “50-something” Birthday this afternoon with first swim in the indoor pool at old “Club Sierra” where I used to swim since the Carvilles (Mike Carville, Phil Carville, Belinda Rush Carville and Nell Esterhazy Scannon) have refurbished it as another South Yuba Club — from top to bottom. What a treat! This was a total “gut job.” This “project” must have been like tugging on a thread, finding one problem after another to tackle. (I emailed Phil the real-estate listing for Club Sierra months ago before the Carvilles bought it, but don’t blame me). 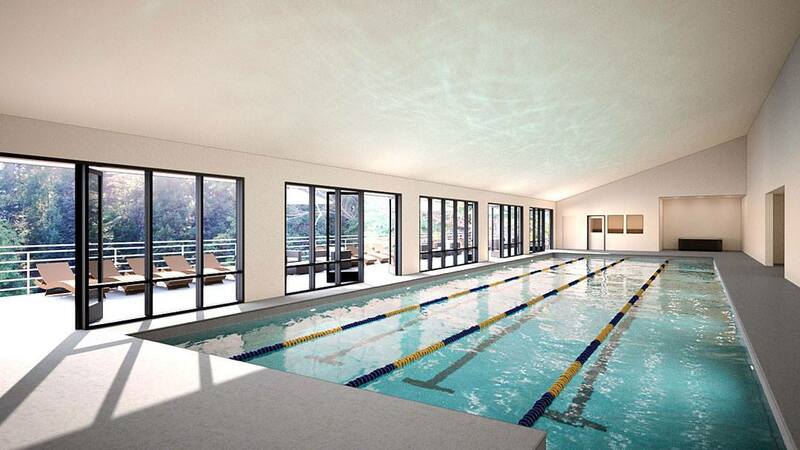 The pool features salt-water sanitizing instead of chlorine with new locker rooms. The club has Belinda’s touch throughout, some amazing artwork on the walls, including bright-colored paintings and cool wooden masks. There’s a coffee station and fresh-baked goods. I’ve been friends with Phil for a decade, enjoying his wisdom and handiwork as a lead at Northstar California Resort, including The Village at Northstar, as well as Carneros Resort and Spa in The Napa Valley. The proposed Loma Rica project in Grass Valley, California is sub-par compared with what the Carvilles had in mind for that land. We are fortunate to have locals such as the Carvilles who are willing to invest in local projects. Belinda owned V’TAE Parfum and Body Care. I do not know Mike as well as Phil and Belinda, but he’s fortunate to have such enterprising parents and good business partners. The remodeled facility is spectacular with a nice comfortable feel. Well done! !